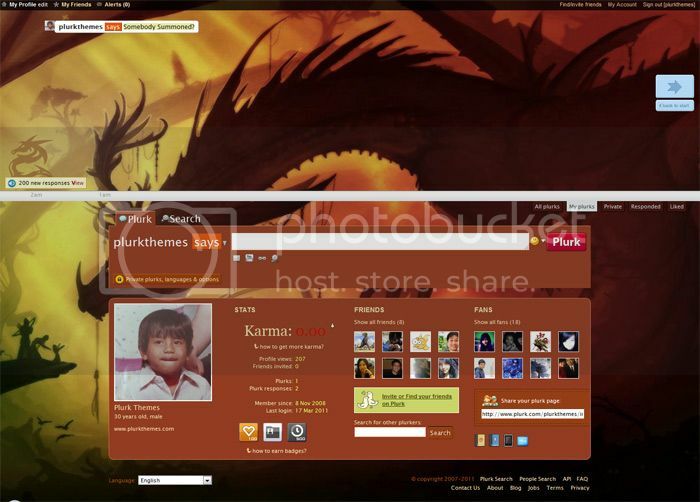 A fine Plurk theme featuring Dragon artwork as its background. It’s beautiful! Can I use it as my plunk background?